Español /English ¡CONTI, ES TU TURNO POR FIN! La historia de Conti es larga, pero necesita ser contada. Conti fue llevado a la perrera por una pareja que dijo que lo habían encontrado. Pero cuando le empezamos a conocerle estaba claro que nunca habrían podido acercarse a él en la calle y llevarlo a la perrera si no hubieran sido sus dueños. Conti era muy salvaje y aterrorizado cuando llegó y tuvo que pasar varias semanas en una caseta prefabricada porque nadie podía acercarse a él. Teníamos que tirarle la comida a él y su área fue limpiada con una manguera. Se encogía de miedo en el rincón ladrando y gruñendo cuando alguien se acercaba a él. La mayoría de los refugios lo hubieran sacrificado, sin embargo, el voluntario responsable de los nuevos perros difíciles no se rindió y continuaba dando la comida a él y muy lentamente, comenzó a ganarse la confianza de Conti y podría dejarlo salir de la caseta prefabricada por períodos cortos con una correa atada a la pared. Después él progresó desde la caseta prefabricada hasta el aparcamiento con una correa cuando estaba gente allí. Bueno, el reciente cambio en Conti ha sido increíble. Actualmente vive en el aparcamiento libre y saluda a todos (casi todos) los visitantes con un beso. Él es un poco precavido con las personas que vienen en camiones grandes o que le da miedo y les ladra. Tampoco le gustan algunos perros, pero se está volviendo mucho mejor. Él sale a pasear solo con su novia del aparcamiento por la calle, pero él no se va lejos y siempre vuelve a la perrera. Conti es un perro muy guapo, cariñoso y extremadamente leal, y cuando te conoce te adora y no puedes evitar adorarlo. El aparcamiento no será lo mismo sin él, pero realmente es hora de que encuentre un hogar propio. Se lleva bien con los niños también. Video 9/9-17: https://www.youtube.com/watch?v=SdBiF6kXrHY. Video 4/11-18: https://www.youtube.com/watch?v=ba4H9mLDkvM. ENGLISH: CONTI, IT IS YOUR TURN AT LAST! Conti arrived at the pound in May 2017 and was approximately 3-4 years old on arrival. 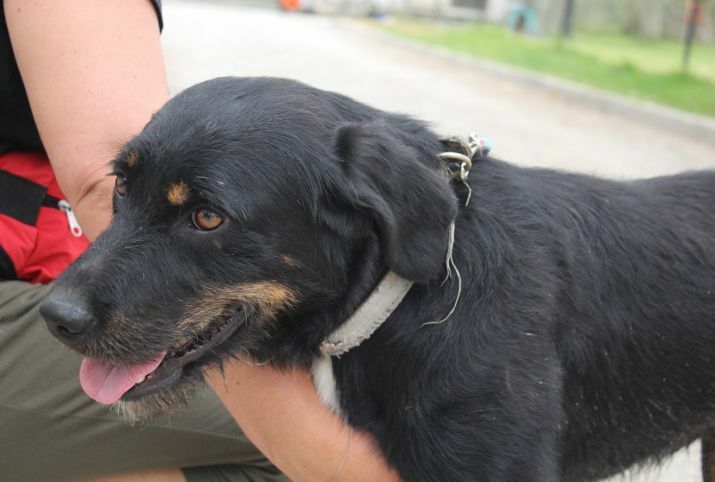 He is a male crossbreed who was allegedly found wandering the streets. Height: approximately 55cm Weight: approximately 25kg. Conti’s story is a long one but needs to be told. 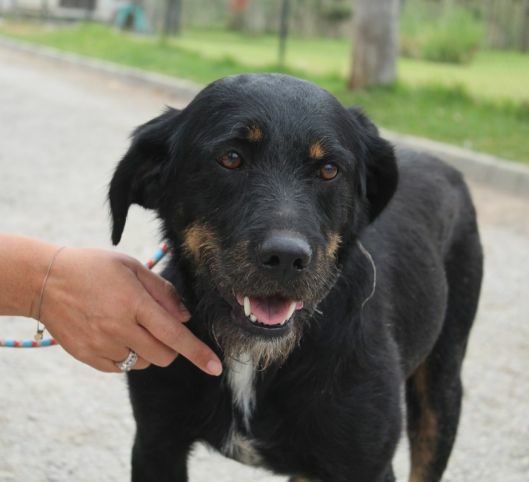 Conti was brought to the pound by a couple who said they had found him. 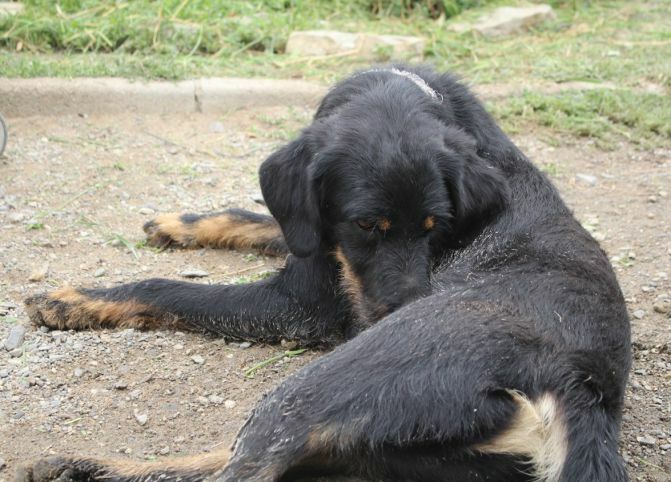 However once Conti’s personality was established it was clear that they would never have been able to approach him in the streets and bring him to the pound unless they were his owners. Conti was absolutely wild and petrified when he arrived and had to spend several weeks in the portacabin as nobody could approach him. His food was thrown in and his area was hosed down. And he cowered in the corner barking and growling when anybody approached. In most shelters Conti would have been put to sleep, however, the volunteer responsible for the difficult new dogs did not give in and continued to feed him and very very slowly she started to gain Conti’s trust and could let him out of the portacabin for short periods with a lead attached. (Conti, short for contenedor, portacabin in Spanish!) then progressed from the portacabin to the car park on a lead when people were there as he was very unpredictable. Well the recent turnaround in Conti has been incredible. He now lives in the car park off the lead and welcomes all (well almost all) visitors with a cuddle and a kiss. He is a bit wary of people who come in big trucks or act in a scary way and barks at them. He also doesn’t like some dogs but he is getting much much better. He takes himself for little walks down the lane with his car park girlfriend and his recall is amazing. 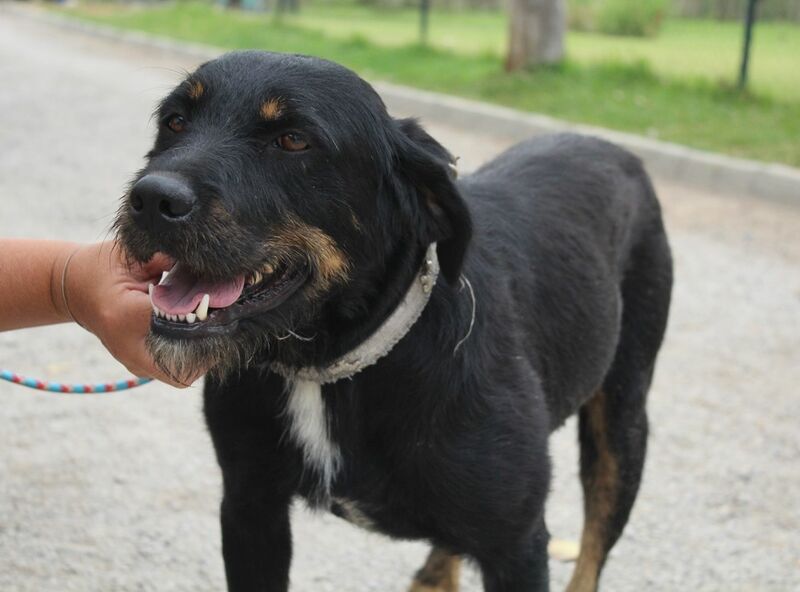 Conti is a very handsome, loving and extremely loyal dog and once he knows you he adores you and you can’t help but adore him. The car park won’t be the same without him but it really is time for him to find a home of his own. He gets on well with children too. 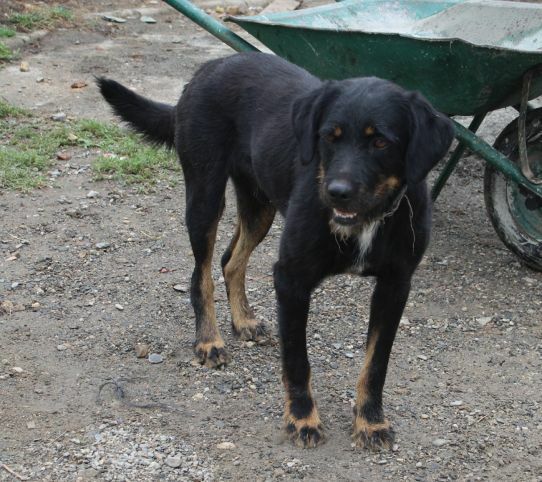 UPDATE JANUARY 2019: Conti is still waiting for his forever home and we hope he finds it. Conti has changed dramatically. He is now inside the pound and lives with 5 to 6 other dogs. His relationship with other dogs is much improved and every day he is loose with about 30 dogs at playtime for an hour or more, a privilege that not all dogs are allowed. Conti knows his name and has become a very affectionate boy. If you call him he comes running and immediately rolls on his back for a belly rub. He also enjoys cuddles. 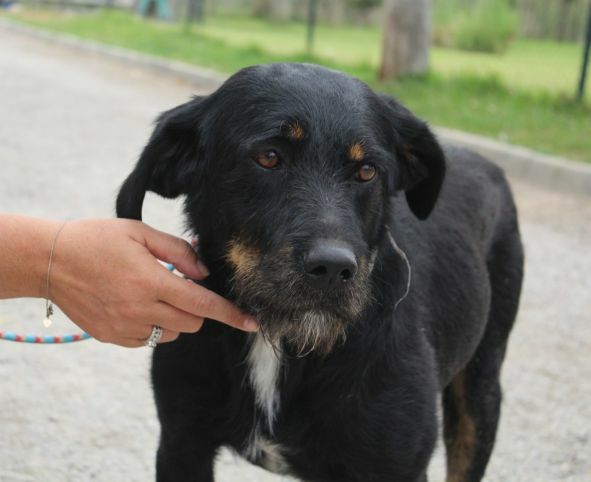 We think that Conti would be best adopted in Spain as the trip abroad may be too traumatic for him. He can be homed as an only dog or with other dogs, but we would like him to meet the other dogs first and see how he gets on with them. 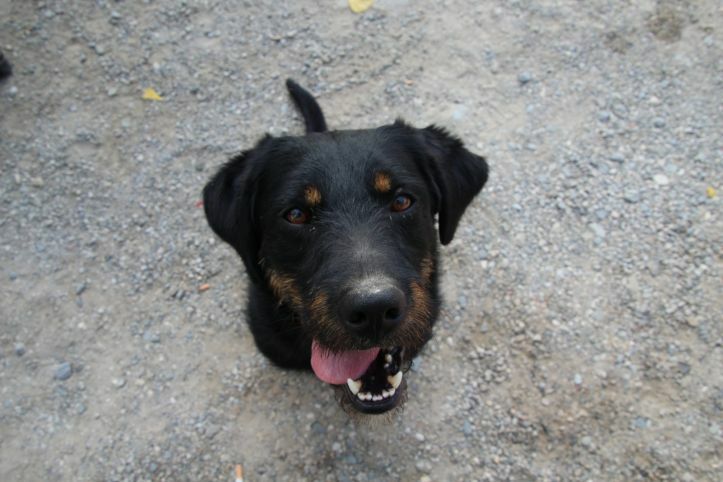 Conti would make the most loving, loyal and cuddly companion and deserves a loving home after all he has been through. Conti is available for adoption in Spain only.